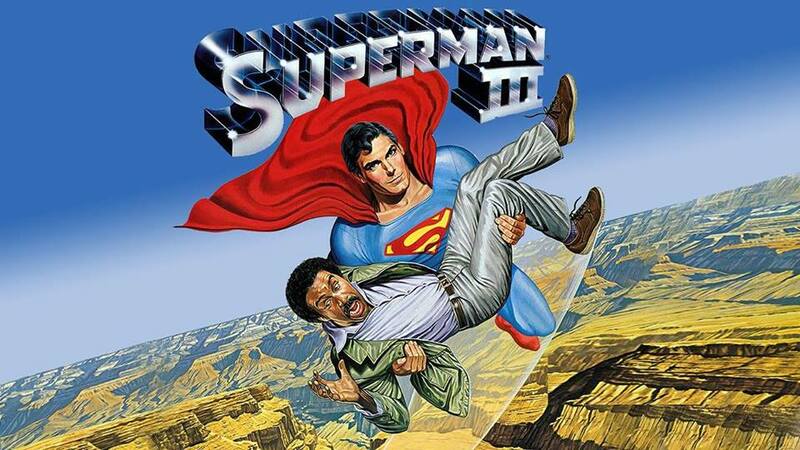 Come celebrate the birthday of comedy legend RICHARD PRYOR with SUPERMAN III, one of the few Pryor movies we can watch in the store. See Supes fight his greatest enemy yet, HIMSELF (and, by proxy, the tobacco industry)! When Gus Gorman (played by the magnificent Pryor) tries to create synthetic Kryptonite, he ends up one ingredient short. After substituting cigarette tar, Gorman creates RED KRYPTONITE! The new rock splits the hero between the boy scout Clark Kent and an evil version of the man of steel.